Join us for a presentation by Daniel Valdez on Thursday, April 18 at 7:00 PM in LARC 109. 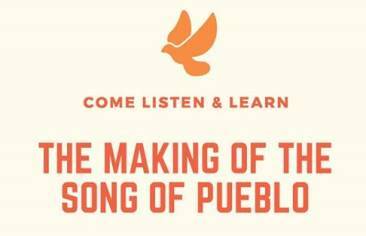 This presentation interspersed with song and memory sharing will give you a glimpse into the making of the Song of Pueblo. Valdez is a composer and actor best known for his performance as Henry Reyna in Zoot Suit. Professors Beverly Allen and Fawn-Amber Montoya have published their book, "Practicing Oral History to Connect University to Community", which illustrates best practices for using oral histories to foster a closer relationship between universities and their surrounding communities. It is an important resource both for oral historians and those working to improve relationships between universities and their communities." 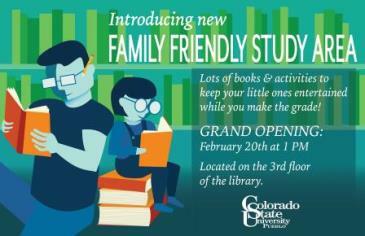 (Provided by the publisher) You can check out the book on the 1st floor's New Book section in the Library. Use the New Library Research Text! 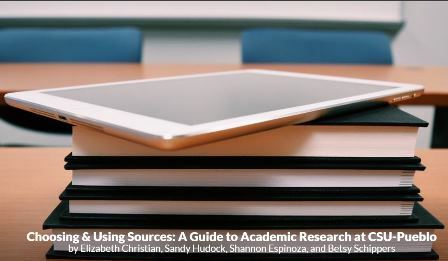 Our Librarians have adapted an open access textbook entitled Choosing & Using Sources: A Guide to Academic Research at CSU-Pueblo. Take a look at this great new resource today!